Central Istrian wine region, Grimalda area, vineyard Brdo. 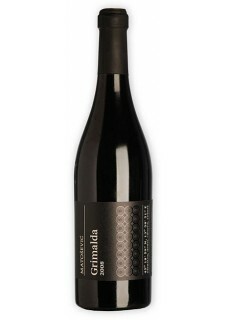 Grimalda Red is a blend of Merlot and Teran, in ratios of 85-15. The grapes are complex due to low yields, on very sunny terraces; up to a kilogram per vine. Grimalda Red is macerated and fermented on marc for up to two weeks, following which it is aged in allier/troncais French oak barrels for around 15 months. It is then further blended and aged in stainless steel vats and in the bottle. This is a terroir wine, made in the Bordeaux style. With pronounced freshness and minerality, as well as a long finish, despite the newness of vineyards, Grimalda Red is a complex wine. Big.